Finally we have reached Part III of the healthy knee series. 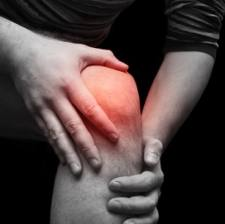 In Part I we focused on the basics when it comes to knee pain and some of the fundamental issues that can cause knee pain. In the Part II we went a step further and focused on creating proper tissue quality and tissue length as well as mobility work to help erase knee pain. In this third edition we are going to take the next step and look at some of the strength training exercises that you should be doing to improve knee health – more specifically strength training exercises of the posterior chain, though some quad dominant movements will be included. To some people these exercises may be new and a little awkward at first, but any knowledgeable strength coach or personal trainer is already performing most, if not all, of these exercises with their athletes or clients. All the exercises that we will see today are bilateral movements (two legs). In the upcoming installments we will focus on single leg strength. When someone complains about knee pain one of the first places to look at is the glutes. It may be hard for some to grasp, but even though the glutes are relatively far from the knee, they have a great influence over the entire knee-joint. Simply put, if you have under active or weak glutes, knee pain is right around the corner. Therefore, the number one goal for someone with knee pain is to improve both motor control and recruitment of the glutes. Some of the great glute exercises that you can do would be a Glute Bridge, mini band walks, X-Band walks, and side lying clamshells. In my eyes, the hamstrings are the second most important muscle group when it comes to keeping and improving someone’s knee health. One of the major issues with most people is that they have very underdeveloped hamstrings in comparison to their quads. It is without question that female athletes, especially soccer players, are at a higher risk of knee injuries/ACL tears than any other group of athletes. To no surprise, soccer girls typically have great quads strength but have very poor hamstring strength – funny how that works. Here are a couple great hamstring movements that will help to improve hamstring strength and decrease the poor ratio between the quads and hamstrings. That should do it for the posterior chain and our small portion on the quads. I am 100% confident that if you add some of these exercises into your routine you will see a noticeable difference in your knee health. I would argue that the glutes and the hamstrings are the most important muscle groups when it comes to knee health and as a society we tend to sit too much and have become a little too quad dominant – leaving our glutes and hamstrings underdeveloped and not taking on enough work in athletics and normal everyday situations. It should also be noted that not all exercise are created equal. Exercises like lying leg curls, seated leg curls, or any of the “glute” machines that are at most gyms are all both worthless – they won’t do crap to help improve knee health. And as always, form is king! Poor form will also do nothing when it comes to improving knee health.